ABC's Josh Elliott is taking a new role at NBC Sports, raising questions about morning show staffing. 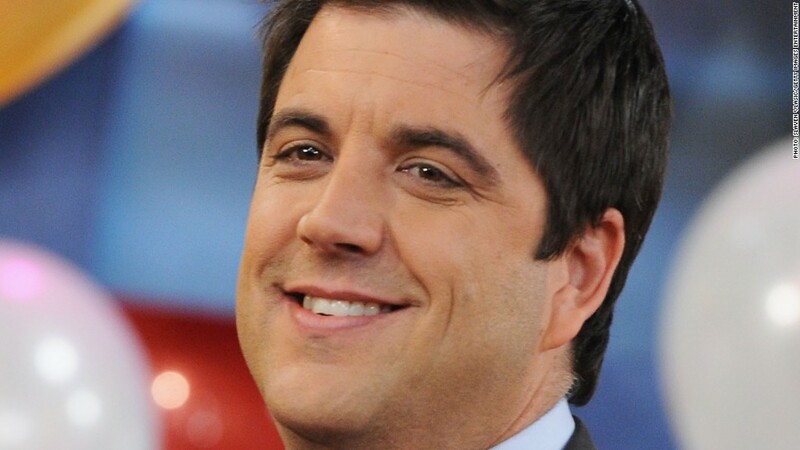 Josh Elliott, the news anchor on ABC's "Good Morning America" who has been in line for the main chair on the program, is leaving the network to join NBC Sports. The move has raised immediate questions about whether Elliott is now in line to take over "GMA's" main rival, the "Today" show. Officially, no he's not -- the jobs that NBC will soon announce for Elliott will be at NBC Sports, not NBC News, the division that houses "Today." But behind the scenes, top NBC executives are eager to see him on "Today," even though that won't -- and can't -- happen right away, according to people with direct knowledge of the negotiations. Elliott has a non-compete clause (common in the television industry) in his contract that bars him from co-anchoring "Today" for approximately six months, according to one of the people, who insisted on anonymity because of the confidential nature of contract negotiations. Regardless, there isn't a job opening at the "Today" show right now. "Today" is still trying to recover from the damage done by Ann Curry's tearful sign-off in the summer of 2012, and the executives who oversee the show are reluctant to reopen old wounds by forcibly replacing another member of the cast. That may partly explain why Elliott's pending deal is only with NBC Sports. The initial, informal conversations between NBC and Elliott's representatives were about both news and sports, according to two of the people with direct knowledge of the talks. One scenario would have had Elliott join the "Today" show in a news anchor role, putting him in line to succeed Matt Lauer. But the discussions with NBC News were shelved. NBC may not have wanted to risk a destabilizing change at "Today" in the short term, and Elliott may not have wanted to jump directly from one morning show to its arch-rival. Besides, NBC Sports is a logical next step for him. Elliott was a co-anchor of ESPN's "SportsCenter" before he joined "GMA" in 2011. He won't immediately replace anyone at NBC Sports; instead, he'll contribute to the coverage of "Sunday Night Football," soccer, horse racing and other sports. Elliott's arrival will stoke speculation that NBC sees him as a younger version of sportscaster Bob Costas, who is famous for his decades of Olympics coverage. The chairman of NBC Sports, Mark Lazarus, told Sports Illustrated last month, "We said after Sochi we would start to think about what life after Bob might be, whether post-Rio, post-Pyeongchang, post-Tokyo, whenever he does not want to do it anymore." A spokesman for NBC Sports declined to comment on Sunday night, but Elliott's move will be announced by the network early in the week. In the meantime, Elliott's departure was confirmed Sunday by ABC News, in an internal memo from Ben Sherwood, president of the network's news division. "Josh Elliott let us know today that he is going to NBC Sports," Sherwood wrote in the memo, which was unusually blunt about the negotiations that had taken place. Sherwood seemed to affirm earlier press reports that Elliott had wanted a giant raise -- $8 million a year, by some accounts, up from $1.2 million currently. "As many of you know, we have been negotiating with Josh these past several months," Sherwood wrote. "In good faith, we worked hard to close a significant gap between our generous offer and his expectations. In the end, Josh felt he deserved a different deal and so he chose a new path." Sherwood said that Elliott would be feted on "GMA" sometime this week. He immediately named a successor in the news anchor chair, Amy Robach, who has already been a regular member of the cast. The departure of Elliott, who was the show's "hunk" in the eyes of many female viewers, means that "GMA" will have just one man, George Stephanopoulos, alongside four women. Morning show profits are driven by female viewership, and time will tell how the new cast is perceived. The other man on "GMA," Sam Champion, exited in December and now hosts a three-hour morning show on The Weather Channel. Elliott's contract was the last of four that ABC sought to renew in the past six months. Robin Roberts, who leads the show along with Stephanopoulos, re-upped a few months ago, and Lara Spencer confirmed last week that she plans to stay on the program. Of course, defections get more attention than renewals. Champion now occasionally appears on "Today," since The Weather Channel is partly owned by NBC. Sunday's poaching of Elliott seemed, from the outside, like the continuation of a strategy to pick apart the cast of a competitor. For the moment, though, despite Champion's departure and a temporary surge by "Today" during the Winter Olympics, "GMA" remains solidly No. 1 the morning ratings race. Sherwood internal memo asserted that "'GMA's' best days are ahead."